Calculating the ROI of a referral campaign is hard. Our calculator does it for you. *All figures shown are estimations based upon calculations that will define your approximate financial returns and Maitre does not guarantee any finanical returns nor are we a financial advisory body of any kind. Also, the actual ROI is likely to be higher than our estimation, because our calculations don't consider people referred by other referred people. 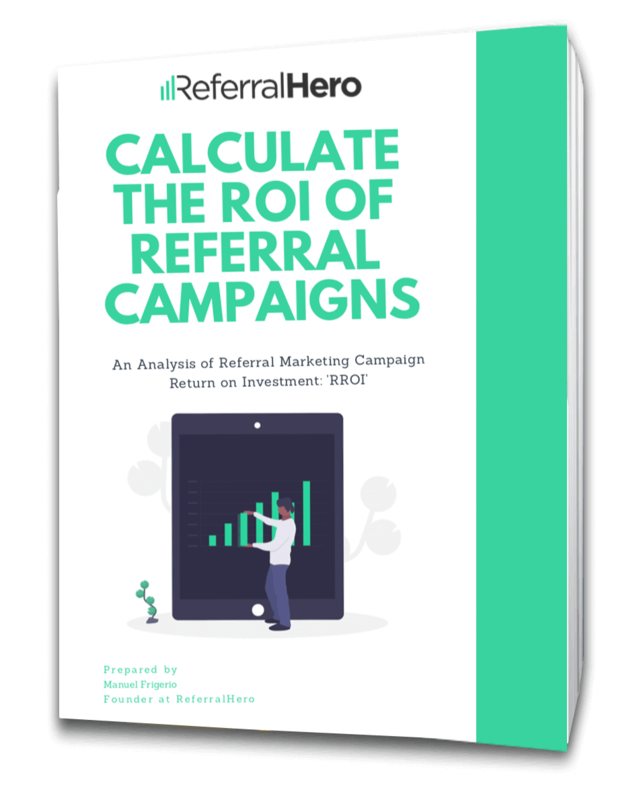 Get the Free Guide "CALCULATE THE ROI OF REFERRAL CAMPAIGNS"
This useful guide will break down your own 'RROI' formula, outline several examples of how to calculate it and provide a downloadable handy checklist to nail your referral program.